Cindy's Story by J.E.B. Spredemann is an Amish spin on the classic fairytale Cinderella, but with a unique twist. Ms. Spredemann weaves in a faith based message that really provides a spiritual boost to the fairytale theme! Seventeen-year-old Ella Zook, also known as Cindy, hasn't had an easy life. After the death of her mother at an early age, her father remarries a woman with two children and then he also dies. After that, she basically became a slave to her family, even being threatened that she should never make contact with anyone otherwise they would put her out on the streets. Her only comfort is going into the woods, but when a young Amish man named Nathaniel shows up and befriends her, it seems that God hasn't forgotten her after all. But Nathaniel has something from his past that could change the way Cindy feels about him. I am a huge fan of Amish fiction and I don't think I have ever read a book quite like Cindy's Story by J.E.B. Spredemann. While written in the style of Cinderella, there honestly is so much more substance to this story than the classic fairy tale. Ella (Cindy) was such an amazing character. Even though her life was filled with nothing but hardship, she kept an upbeat, positive attitude. Great character development allowed her character to blossom and her faith to grow as the story progressed. The friendship that developed with Nathaniel certainly had a fairy tale quality, but there was also a deeper message of forgiveness that resonated as well. I loved the spiritual messages woven into the story; instead of feeling overblown or preachy they fitted perfectly and seemed very realistic. 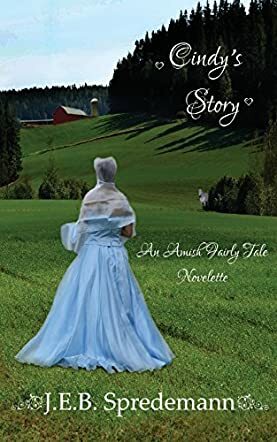 A quick easy read that's perfect for anyone who enjoys Amish fiction, but honestly anyone looking for a fast paced romantic read that packs a inspirational punch will enjoy it as well!